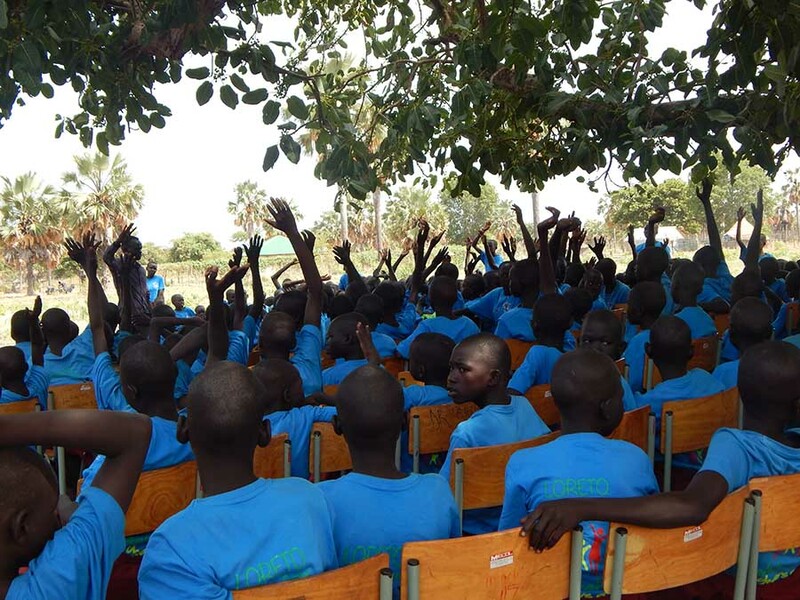 It is a hot busy day at Loreto Primary School, with an occasional breeze and the sounds of children bursting with excitement as they assemble under a big lulu tree. In a few minutes, the Science Fair will begin, a highly anticipated event filled with educational entertainment. 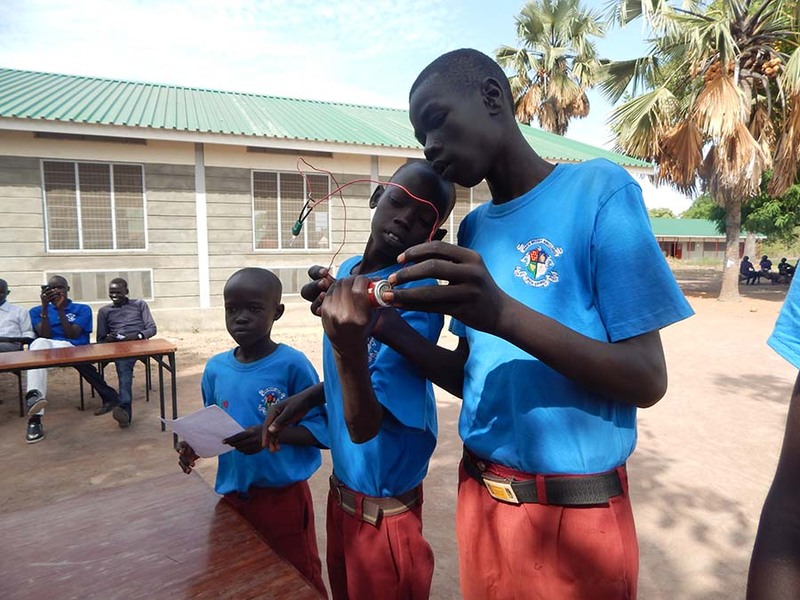 At the end of every term, the school hosts the Loreto Science Fair, where students in upper primary (Primary 5 – 8) present science and technology projects to their peers, teachers and parents. 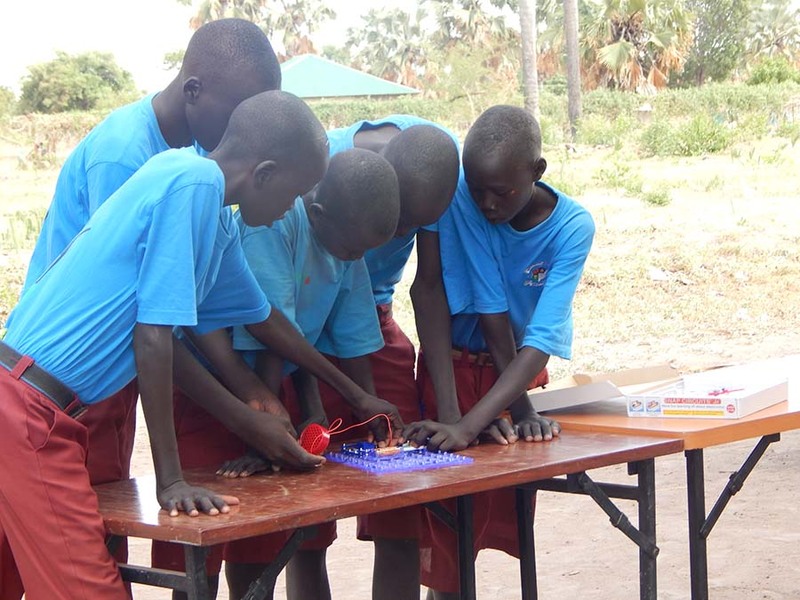 The science fairs are part of a larger project funded by the McCarthey Dressman Educational Foundation with provides afterschool programs for upper primary school students. Everyday, these students stay behind for an hour after lunch to explore science, technology, engineering and mathematics (STEM) topics. Students engage in experiments and demonstrations to understand scientific concepts such as electricity, magnetism, water filtration, wind energy, sound, light, solar energy and chemical reactions. Students also learn about technology through tablet apps and toys that teach the foundational principles of coding. “It helped us learn how to make all those things, like how to build chair swings and wells with the (Engin) blocks.” Christine adds, “I enjoyed building the houses.” Both students have previously presented at the science fairs and believe that it has helped them to build confidence and to give presentations/talks in English. Most children in the area struggle with speaking English and girls usually lack confidence when speaking in public. Moreover, the help that they receive from their teachers during preparation for the presentations helps them to better understand the concepts. Jamesina also works with Primary 6 students in the afterschool program and she has seen its impact on her students’ academic performance, especially girls. An important aspect of the STEM program is the provision of tablets with apps for remedial mathematics. These apps encourage self-directed learning, allowing students to learn at their own pace.